Experience the feeling of walking on a soft cloud with one of our favorite shoe brands, Joya. Joya is a prestigious brand of shoes straight out of Switzerland. The Joya brand is proud to carry “the world’s softest shoe.” Joya shoes are intended to take the hard pressure away from walking and make it an effortless experience. Joya encourages and promotes healthy feet and a healthy lifestyle. The shoes are so comfortable and easy to walk in you’ll want to be active. Rather than training yourself to walk properly, Joya shoes do the work for you. They condition your feet to walk in a manner that optimizes the health of your feet and strengthens your muscles. The soft and flexible sole of Joya shoes influence your natural stride to correct itself. The experience created by Joya shoes combines the muscle strengthening techniques of barefoot walking, while adding comfort and protection. 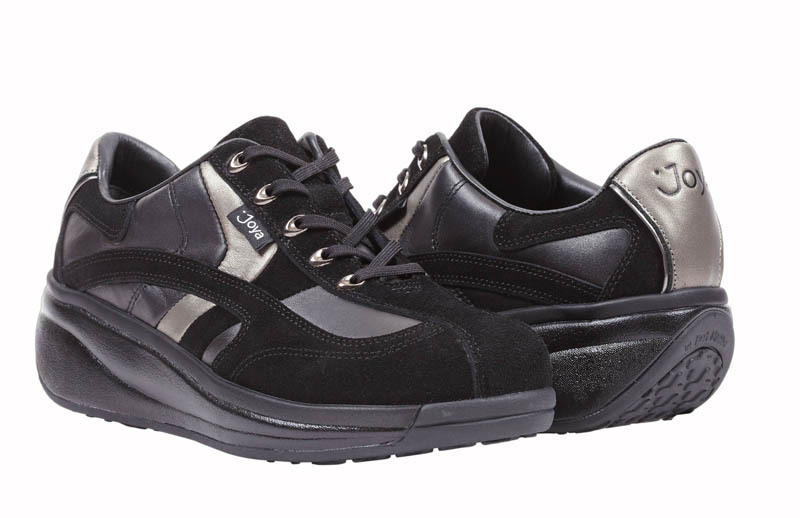 While normal walking shoes create two major points of pressure, Joya shoes even out the pressure exerted upon your feet. The shoes will absorb pressure that occurs when your heels strike the ground and help prevent the normal aches, pains and damage to your heels, knees, hip bones that may occur. Joya shoes can correct your posture by influencing your body to walk in an upright position. Incorrect posture, which may not correct with normal walking shoes, can lead to serious problems in your joints from the feet to the spine. Also, Joya shoes seek to allow natural healing of orthopedic type pains. Your feet suffer from having to bear the entire weight of your body all day long. With Joya shoes you may experience significant pain relief. Joya shoes allow its wearers to reach new levels of comfort by caressing your feet with every movement. They are soft to wear and to walk in. Healthy feet promote a healthy body, and proper foot care starts with footwear. Joya shoes look great too. They are available in many styles. They even created a style for the fashionable nurse. Best of all they make you feel great. 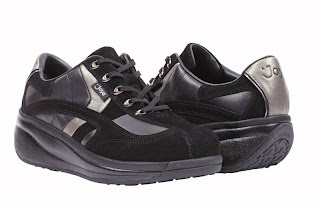 Joya shoes are designed to be flexible and 30% lighter than any other walking shoe. Joya shoes keep your feet happy and cushioned from the very first step. They last a long time too. In testing, Joya shoes survived their memory with 4 million compressions. Over time Joya shoes maintain their original shape, comfort and performance abilities. At ArchMasters, we promote Joya shoes and know firsthand about their healthy affects. If you are interested in the comfort of Joya shoes stop into our store and our trained staff will be happy to fit your feet and find the shoe best for your personal needs. If you have any questions, please contact our store at (615) 370-3000 and ask to speak with our owner/podiatrist, Dr. David Sables or licensed certified pedorthist, Linda Sables.